In terms of revenue, the global meat processing equipment market was valued at nearly REDACTED in 2016. It is expected to be valued at more than REDACTED in 2022, growing at a CAGR of REDACTED during the forecast period from 2017 through 2022. This report segments the overall meat processing equipment market into meat type, processing type, equipment type, and region. The food processing sector is rapidly transforming into a high-volume industry. Recent food technologies are used to meet the standard requirements of food safety and consumer demand. The food industry is an important, visible, and highly profitable industry with substantial growth potential, especially in the food processing segment. New meat processing technology is now focusing on retaining maximum nutrients and sensory properties and increasing the shelf life of food without any adverse effect on the quality of food. The number of meat products available globally (including processed foods) is very high, with a large number of new products launched every year. Thus, it is very difficult to comprehensively define the meat processing equipment sector, as it is related directly to the vast, multidimensional food industry. substantially higher in developed economies. However, a high degree of urbanization and increasing per capita income is expected to promote the growth of the meat processing equipment market in developing economies during the forecast period. In 2016, chicken accounted for the largest demand share for meat processing equipment in terms of meat type. Processing equipment used for chicken accounted for just over REDACTED of the demand in 2016 and is projected to expand at a CAGR of REDACTED through 2022. Chicken is widely consumed worldwide and ready-to-eat processed chicken products demand is also on the rise. Beef accounted for REDACTED of the demand share for the meat processing equipment market in 2016. This report also examines processing equipment by type of processing. Six different types of processes are examined, plus an “other” category. Of these seven categories, the demand for meat processing equipment used in fresh processed meat was REDACTED, representing REDACTED of total demand. Equipment used in fresh processed meat is projected to grow at a REDACTED CAGR through 2022. In terms of geographic regions, Asia-Pacific accounted for the largest demand share for meat processing equipment. The demand for meat processing equipment was valued at REDACTED in 2016 and is projected to be valued at REDACTED in 2022, growing at a CAGR of REDACTED during the forecast period from2017 thr ough 2022. This report represents an in-depth analysis of the global meat processing equipment market by meat type, processing type, equipment type and region. The report discusses the application of different commercially available types of meat processing equipment to derive specific market estimation. 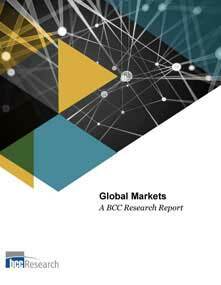 The report also presents a comparative study of conventional and emerging technology and the importance of the technological advancement in the meat processing equipment market. The report presents strategies adopted by major players in the global meat processing equipment market. Patent analyses provide a snapshot of technological trends in the global market over time as well as geographically ? namely for the U.S., Europe and Japan. Estimated values used are based on the manufacturers’ total revenues. Projected and forecasted revenue values are in U.S. dollars, unadjusted for inflation. Company profiles of leading manufacturers and suppliers of meat processing equipment, including Bayle S.A., CTB Inc., GEA Group AG, Hobart Corp., and Manitowoc Foodservice Inc.